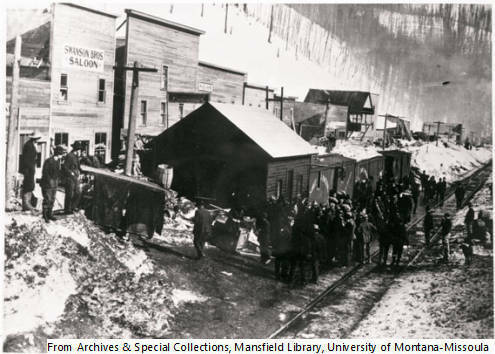 By the early 1900s, the rough and tumble frontier towns of America were dying off, slowly becoming gentrified and developed into respectable settlements. Taft, Montana was one town that wasn't going to go down quietly. Home to pimps, prostitutes and murderers, Taft earned the title, "the wickedest city in America" given by a visiting Chicago Tribune reporter. If a working man had an appetite for vice, he was sure to get his fill in Taft. Taft started as an unnamed work camp in 1907. 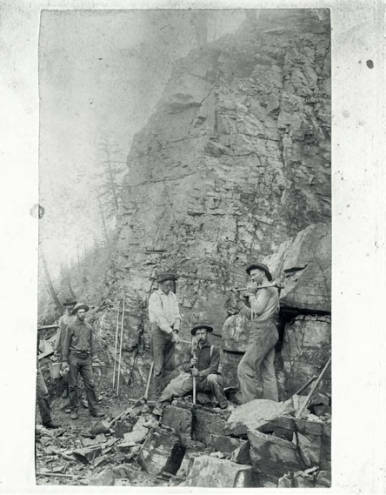 The town was home to men working for the Chicago, Milwaukee, St. Paul and Pacific Railroad, who wanted to extend their line through the Bitterroot Mountains. The name of the town allegedly came about after Secretary of War William H. Taft visited the work camp. 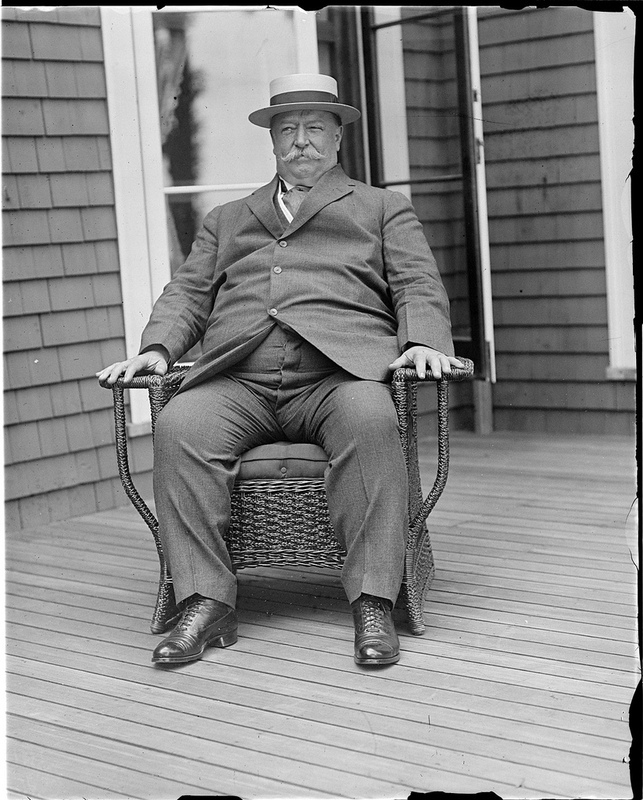 Secretary Taft chastised the unnamed camp for being a "sewer of sin" and "a sore on an otherwise beautiful national forest." Either out of jest or spite, the townsmen named their community in honor of the future president. As construction of the railroad began in earnest, Taft grew, the height of its population peaking somewhere around three thousand. Consisting of little more than a half-mile stretch of road, Taft boasted between 20 and 50 saloons. Along with men working the railroad, Taft was also home to many other men and women of ill-repute. The second biggest profession in Taft, right after railroad workers, was prostitution. A den to criminals as well as pleasure seekers, springtime in Taft often meant the discovery of dead bodies that were uncovered as the winter snow melted. During the final spring in Taft, as many as seventeen bodies were found. The shanty-town quality of Taft made it particularly susceptible to fire, as it burned down at least twice before 1910. Taft was finally wiped clean in 1910, when forest fires ravaged much of northern Idaho and western Montana. 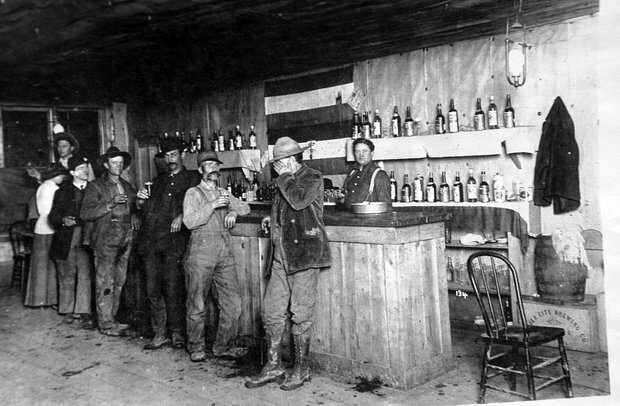 Rather than answering the forest rangers call to fight the fires, most citizens of Taft put their energy towards draining the town of its remaining alcohol. Taft's inhabitants were evacuated by train, but the town itself wasn't so lucky. Some futile attempts to raise Taft back to its infamous glory were quickly shut down by forest rangers. A few abandoned buildings survived until they were finally buried by the construction of I-90 in 1962. Now, all that remains of the once "wickedest city in America" is a freeway exit on I-90 and a staging area for snowplows. 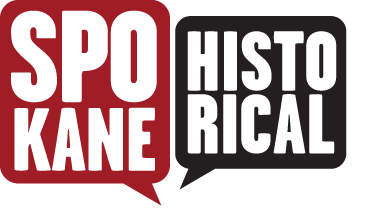 Thomas Breysse, “Taft: The Wickedest City in America,” Spokane Historical, accessed April 20, 2019, https://spokanehistorical.org/items/show/465. Egan, Timothy. The Big Burn: Teddy Roosevelt and the Fire That Saved America. Boston: Houghton Mifflin Harcourt, 2009. Print. Fletcher, Robert H., Glenda Clay Bradshaw, and Irvin Shope. Montana's Historical Highway Markers. Helena, MT: Montana Historical Society, 1989. N. pag. Print. Frederick, Daniel. Thirty Years in Hell: Or, The Confessions of a Drug Fiend. New York: Arno, 1981. Internet Archive. Web. 8 Mar. 2014. Kershner, Jim. "Great Fire Wiped out Wild Towns of Taft, Grand Forks." The Spokesman-Review. N.p., 20 Aug. 2010. Web. 6 Mar. 2014. <http://www.spokesman.com/stories/2010/aug/20/great-fire-wiped-out-wild-towns-taft- grand-forks/>.